How are YOU? It’s fall in Germany, the leaves are almost off the trees, it’s cold outside, the ground is covered with golden foliage and wet. What a good time to be greatful for having a warm home, a nice cup of tea and a cozy place to sit and work….ah life is good. 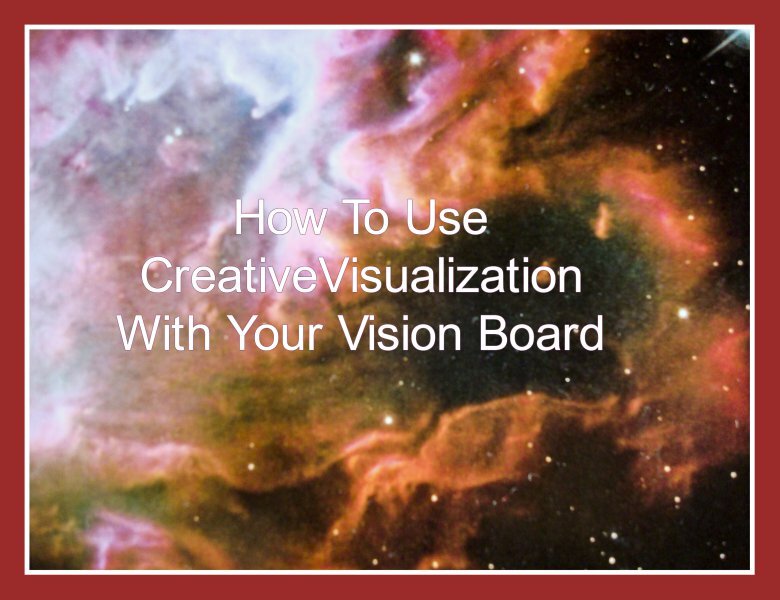 I am writing to you from this place of gratitude, with a view of my vision board and I thought you might be interested in ways to be more creative, self expressed and have fun creating more visibility for your business. 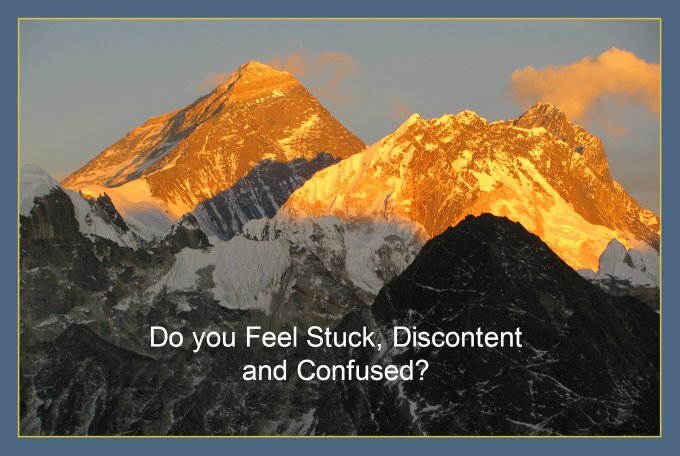 The common denominator is FEAR….. fear can be overcome… but that’s another blogpost: In this post I will help you to overcome only the techno-fear. So if you would like to create a simple video about your services or products and post it on youtube, this might help you do it. Needless to say I was scared… I suffered from “techno-phobia” and at that time…. I did not even know how to cut and paste…… yes indeed it was that bad. That was about 5 years ago. When my mentor suggested videos I thought: impossible……I don’t know how to do it, I can’t, I never will…….. I’m not doing it. But eventually I was willing to try new things and be uncomfortable……I started creating a simple video by using a series of images with motivating quotes in between and added music to finish up. My dad actually helped me to do this….The next step is to create an account on youtube upload the video, done. You just created a simple video and posted it on youtube, congratulations!!! Next you can experiment with creating a simple video presentation. Talk about something that is relevant to your business, or interview someone. 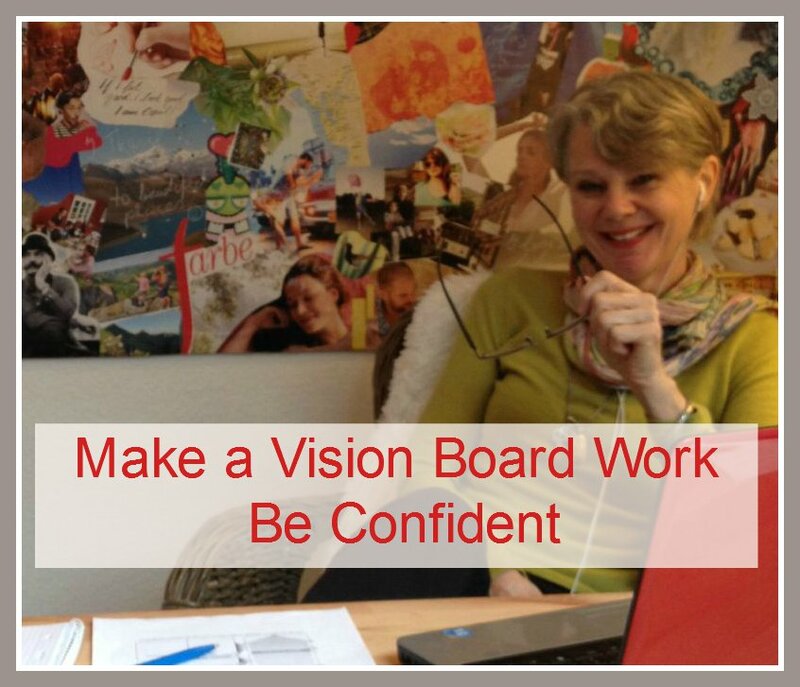 For example, in my case: I created videos about vision boards and subjects that might be interesting and helpful to entrepreneurs. Here some more details: Prepare it a little bit…..start by writing bulletpoints on a posterboad to remember what you want to talk about, otherwise you might end up rambling… yes it happens. Another idea is to write down the seperate scenes on post its…… yeah, kind of like a simplified screenplay. Sometimes it’s hard to remember a long talk, so what you can do is: take short sections of video and then cut them together. Also when you record yourself, you have to cut out the parts, from pushing the record button to taking your position, which is easy to edit out. Oh…one more thing that will give you a more professional look is: you can go to fiverr and order an “intro/extro” which you can add to the beginning and the end. They offer a variety of music and animations. Now try it…..be creative and have fun!!!!! I posted some of my videos, to give you an idea how simple it is. Did this help YOU? If you have anything to add or questions to ask, please post it in the comment box. I love to read them. and pssst: Do you need more help? I would like to give YOU the gift of one free session. Just let me know. I hope you enjoyed a wonderful, happy summer with family and friends….. It's the beginning of September and a wet day in Germany. The rain is welcome after many, many hot weeks. Thursty trees and plants are soaking up the water and so am I. Are you ready for fall? 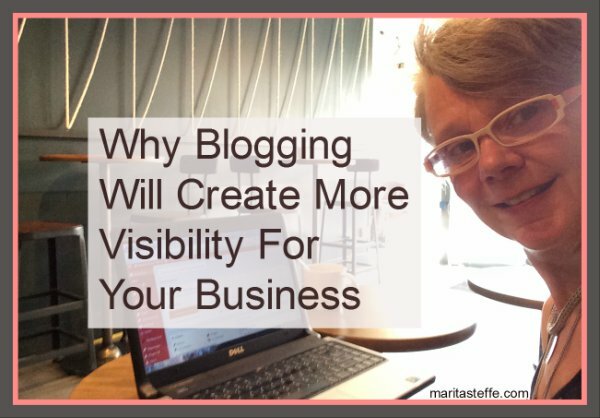 Ok, now lets talk about creating visibility for your business. I will share some of my strategies with you, which are easy enough for beginners or people who like to keep it to the basics. Creating visibility online can be easy, but it’s good to have a simple strategy to get better results: how to effectively create visibility. Writing blog posts and articles is a great way to share your expertise with others and get your tribe, (ideal customer) interested in your service or product. It’s very simple…. especially if you like to write. Before you start you should know a few things about your customer. Where to find them online? Do your research by asking people, doing surveys and talking to experts… for example a social media or a business coach. …After you collect your information, write a blogpost about a subject that will help your customer with their problem. Easy isn’t it? Let me give you a simple example: Let’s say you want to help people with their communication: your customer might be people who have “bad” communication skills, the solution to the problem could be a blog post or an article: How to learn effective ways to have better communication with your customers. The result for them would be a more peaceful life and happy customers, yippeeeee. This is a very simple example, but I hope it makes it easy to understand. Now the next step is to post it. If you don’t have your own blog you can post it on other people’s blogs or on Ezine. If you are on LinkedIn you can use their publishing platform, which will be great for visibility. Two more things before I forget: If you plan to post it on several platforms, make sure to change the title and some of the text. Google does not like exactly the same content posted on different sites. 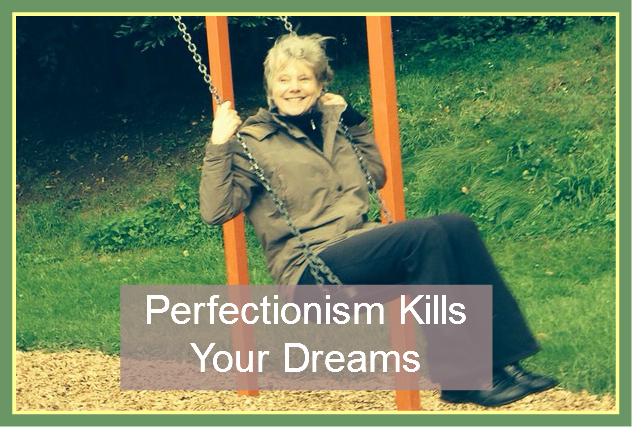 Just in case you suffer from “perfectionism” and want to make sure that your spelling is right; find a professional editor on Fiverr, where everything costs $5, or Elance. Outsourcing some tasks is a great way to get help and get things done. This is one of my favorites. 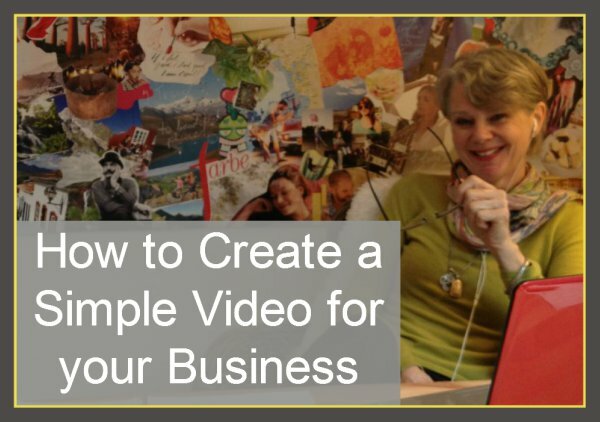 You can create simple videos by sharing information that relates to your business. In my case it’s anything that relates to coaching, or to help people live more successful, fulfilled, happy and balanced lives. You can use your phone, or a simple HD flip camera, a tripod, and a simple editing program called moviemaker. Moviemaker is a free movie editing program that comes with windows. It’s very easy to use. I am not a technical geek, so when I say easy….. it’s easy. Some of you might need extra hand holding, just look into a schedule at your local college or find a student who can help you until you feel more comfortable. After you created your video you have to upload your videos to youtube, or another hosting platform. When your done with it, post links to them on social media and embed the video on your blog. 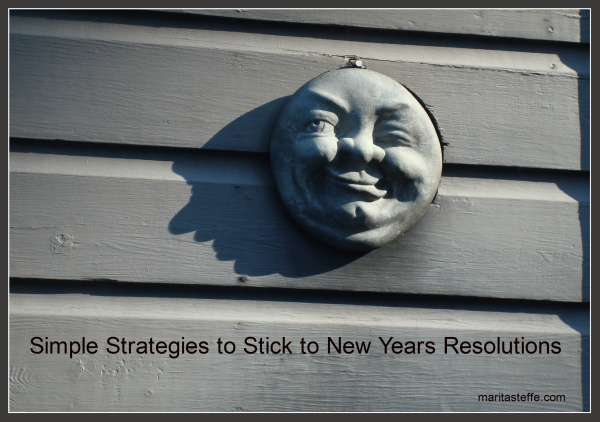 Ok, now it can get a bit confusing, I will share some of my favorite sites and strategies with you. No matter what you use, start with creating an appealing profile, to tell people about who you are and what you do. I will just tell you about the most basic strategies I use. For more detailed knowledge check with an expert. All of them offer free training videos. I like Wendy McClelland and Amy Porterfield, Kim Garst, but there are man more. 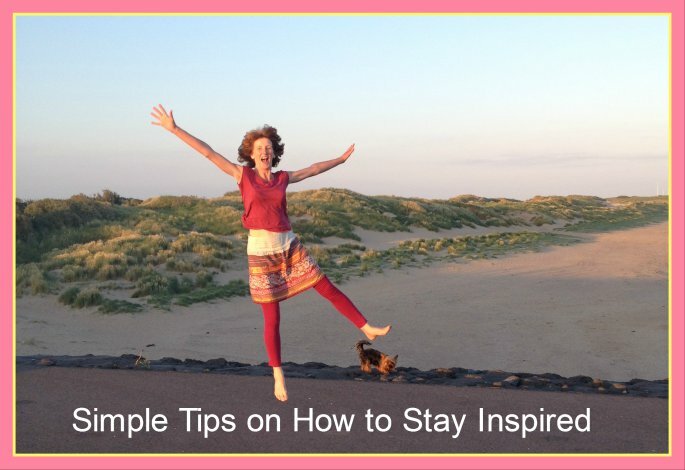 Think about what inspires you and post things that inspire you and your audience or tribe. Something that will help them with their problem. Be social, be interested in others, connect and respond, be human, be fun, be kind, be creative. Make it about them, care about them. Facebook is one of the most popular social media sites. People share other people’s posts and write some words to add a personal touch. You can like other people’s posts and maybe leave a nice comment. Make it personable and positive, nothing worse than people who spill their drama on social media. If you want more visibility and post business related themes, it's a good idea to create a facebook page to post your business related content. Facebook has instructions on how to set up the page. Spend some time to find interesting videos on youtube, or podcasts, blogposts, audios and post links to them, along with links to your own material. Once in a while you can share a post from your business page to your personal profile. In order to be more effective I would suggest to create a facebook ad in order to be more visible. Unfortunately facebook is limiting how many people can view your post. Paying for ads or boosted posts will get you more visibility. I will admit here that I have avoided advertising, although many experts say it works very well when done right. Instagram is one of my favorites. If you like to be creative and take pictures it might become your favorite too. It should reflect who you are, your desires, your personality, your creativity, how you express yourself. It took me a while to understand #hashtags, now I love to use them, actually I find it very creative. They should represent the content of the image and your brand. 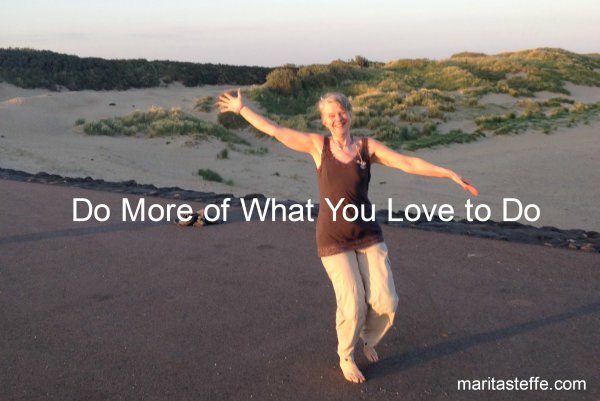 I use: #dowhatyoulove #outwalking #lifeisgood #becreative #effectivecommunication #lifepurpose #behappy #makeyourlifework #instagood #createyourlife #healthylifestyle. The key is to have fun with it, lot’s of fun. Like with any other other social media, comment back when someone leaves a comment for you and when someone likes your image pay it back and go to their page and like some of theirs. Twitter, is fast and you can only post 140 characters. Otherwise the strategies are the same. Retweet other people’s posts when you like them, reply to other people, thank them when they retweet your posts. Start conversations and create relationships. Content ideas to post: inspirational quotes, business tips, links to your or other people’s blog posts, links to free offers, or to videos that you find interesting and which fit into my subject matter. Hashtags are also a good way to be found by people who are interested in what you have to offer. #healthylifestyle #lifepurpose #businesscoaching #improvecommunication, whatever is relevant to your business. Make it fun, make it supportive, be there for people, be personable. Contact them personally when you see someone needs help, offer them support. Ps: don’t buy twitter followers or facebook fans it will not help. Grow your followers using simple strategies, like follow your followers and engage in the conversation. Oh wait ..one last tip to simplify posting on social media and save time is: Hootsuite. A great service to schedule your post on several different media sites from one dashboard. You can schedule your postings for several days. They offer a free and a paid version. 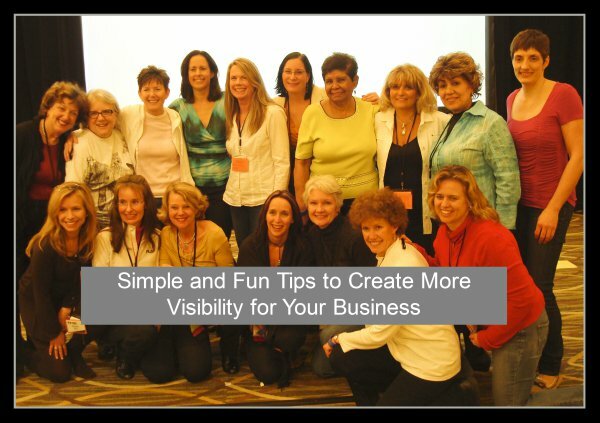 I hope these simple and fun tips to create more visibility in your business will help you. If you have some other suggestions please leave a comment. Have fun with it all and please leave a comment.